Purvis Chiropractic is the largest diversified clinic in Great Falls, MT. In our clinic we have two Chiropractors( Dr. Julia J. Purvis and Dr. Caitlin E. Walter), an Acupuncturist (Jennifer Holloman), a Naturopath (Dr. Liz Cavin) and a massage therapist (Jamie Steenson). The purpose of this blog is to bring light to information that you may already know or things you may not know. Hopefully, you will learn something new! Have you been in an auto accident and suffered from a Whiplash? Whiplash is most commonly an injury that usually occurs during an auto accident. Whiplash is the process of your neck and shoulders going into a hyperextension immediately followed by a hyperflexion. This action where your neck violently goes back and forth causes injuries to the muscles and ligaments which leads to strains and/or tears. 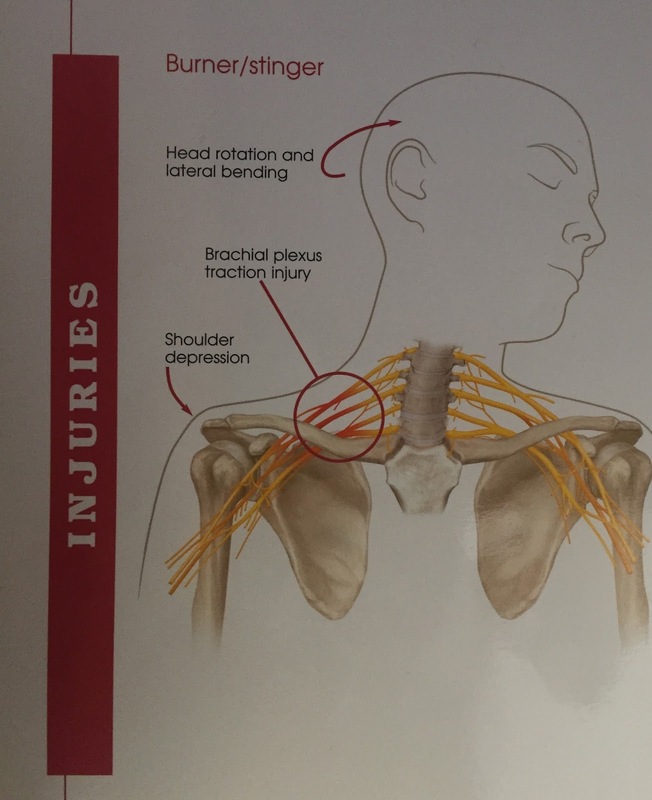 Whiplash can also cause structural damage such as herniation, nerve damage due to overextension, or misaligned vertebrae from the violent movement. 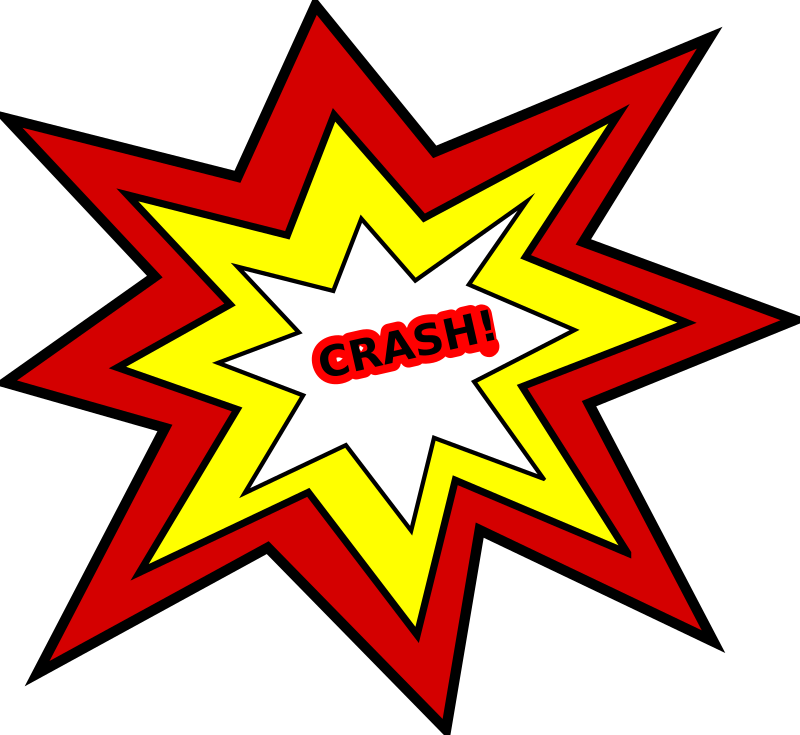 Each whiplash injury is specific to the person and how their body reacted during the car collision. Chiropractic can help alleviate your pain by releasing pressure points on the nervous system by adjusting a specific area to help promote proper alignment. With adjustments, you would be restoring proper joint movement, help reduce tightness and stiffness in your muscles, and enhance proper motion so that other injuries don't occur to other body parts. The goal is to restore and maintain proper movement and functionality to your overall being. With your chiropractic treatment there are a few phases to your treatment plan. Each treatment plan is catered to your specific whiplash injury. The first phase is the initial phase to get you out of your pain. Once you are out of pain then you would start your rehabilitative care. During this phase you will continue with your chiropractic adjustments as well as learn exercises and stretches to help rehab the area of your concern. These exercises aim to improve stability in your neck and upper back as well as reduce your symptoms. Once you have been treated and you no longer have any exacerbations of your symptoms and you are able to return back to work you move into maintenance care. During this phase of care you should be back to where you were before your injury and only come into the office when you have a flare up or you are having restrictions in the area of your injury that need to be adjusted. During maintenance care you will also continue to build stability and strength in your weakened and damaged area. If you have any more questions or you have suffered from a Whiplash Injury please don't hesitate to give us a call and ask! 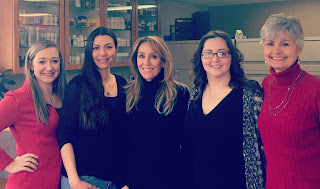 I figured this blog could be a way to let you know what to expect when you walk into our clinic and what to know about our clinic as one of our new patients. Health First - Purvis Chiropractic is the largest diversified clinic in Great Falls, Montana! This means that we not only have Chiropractors but we also have an acupuncturist, a massage therapist, and a naturopath. We pride ourselves on being a holistic clinic. Holistic means we look at you as a whole person and all factors that could be causing your complaint and not just the physical aspect of it. Going to the Chiropractor may be a new experience for you. Maybe you have heard from a friend of yours or you have done your research online. The most common complaint that brings a new patient into a chiropractor's office is Low Back Pain. Usually this comes from doing a repetitive motion over and over. This motion could be anything from just putting your dishes away, picking up your child, or doing lifting at work. We are also and accident and injury clinic. We see a lot of people who have been in car accidents and have gotten whiplash or the patient hurt themselves while at work. Patients also come for a multitude of things such as: back pain, elbow pain, knee pain, pregnancy pain just to name a few. As with any doctor's visit, you will start by filling out new patient paperwork. This paperwork goes through your personal history and what is going on with your current complaint. Once the paperwork is complete you will be sent back to a room to meet with one of the chiropractors in the clinic either Dr. Julia (in the center of the photo) or Dr. Cait (far left side in red). Upon meeting the doctor, you will then discuss your complaint and go through a history and have a physical examination to rule in our rule out the main reason to your complaint. If a chiropractor is the best option for you then you will be treated or if a chiropractor isn't what you need then the chiropractors would refer you to the best option for you. Once the physical examination is completed you will then discuss what your goals are for your treatment and the type of care you want. There are a few types of care you can decided to go with. The types of care include but are not limited to: Initial Intensive care, Rehabilitation care, and Maintenance/Wellness care. Initial Intensive Care - means getting you out of your immediate pain. Once you are out of the pain you can be complete with your treatment. Rehabilitation Care - means rehabbing you back from your initial injury once the pain is gone. So for instance if you have whiplash, you will first be treated to get you out of pain, then you would be treated to rehab your neck to a sense of "normalcy". Maintenance/Wellness Care - means taking you from your rehab treatment to keeping you from getting that pain again. So think about your teeth or eyes. You go back to get those checked twice a year to once a year. Your spine needs that same kind of check up. Once you have your physical exam completed then comes getting adjusted and feeling better. How does it work... you ask? Chiropractic is based on the idea of removing imbalances structural, postural, and muscluoskeletal. Once these imbalances are fixed then your body is able to function at its best ability and start healing itself. Your body has a thing called innate intelligence. For example... when you scrape your knee and it starts bleeding you body goes into an automatic healing function and starts the clotting process so that you stop bleeding. When you get adjusted, you get a boost to your innate intelligence so that your brain and the rest of your body is able to communicate easier and faster. You have a network of nerves and signals from your brain, that go through your spine, and then out to your body. Then you have a network of nerves and signals that go from your body, through your spine, and then to your brain. When there is a interruption such as a restriction in your spine these signals are not able to flow freely. Chiropractors have the ability and skill to reduce these restrictions so that the body is able to perform the way it was meant to and there are no longer any interruptions in your network of your nervous system. Yes! We take Insurance! Most plans actually cover chiropractic care. Give us a call with your information and our office manager will call your insurance company and can give you the exact details of your coverage. If you have any more questions about a new patient appointment please don't hesitate to give us a call and ask! What Can Rocktape do for you? Rocktape is a type of Kinesiology tape. Rocktape can be used for many purposes. Most people think it is only used for Athletes however it can be used on just about anyone depending on what it is being used for. Rocktape can be used to apply compression to an area, to promote recovery or it can be used as a decompression, to relieve pain and even swelling. Rocktape is designed to intercept the signals from the area of pain to the brain. The tape is applied over a stretched muscle. The tape pulls up on the skin creating a better ability for the muscles to move which reduces fatigue. The process of lifting the skin also accelerates and increases blood flow and oxygen to the area of concern. Rocktape can also be put in an area that has edema and swelling and promotes lymph drainage to remove toxins that are produced by the body. * Rocktape has a strong adhesive which helps it stay on longer. However, Rocktape also provides a sensitive tape for those who have sensitive skin. * Rocktape is not like conventional tape. Conventional tape or athletic tape prevents movement. Rocktape allows for full Range of Motion in the area that is taped. * Rocktape can last a few days and can even be wore in the shower and get wet! * Rocktape is latex and zinc free! 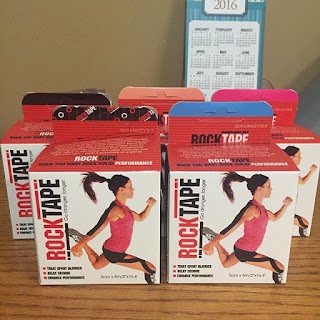 What can Rocktape be used for? * Helps with rehabbing an area of the body to help support. * Helps with reducing edema and swelling in an area. * Helps with keeping and supporting good posture. * Helps reduce pain in the area of concern. * Helps with many things that coincide with Pregnancy: carpal tunnel, swollen feet, rib pain, and a belly belt (just to name a few). *Helps with stabilizing an neck and muscles after a whiplash and promotes rehab and reduces pain. Dr. Caitlin Walter offers this at Purvis Chiropractic. She is certified in FMT 1 & 2. FMT stands for Functional Movement Techniques. Dr. Caitlin also loves all the different colors and patterns that Rocktape offers. She has some for the adventurous people and some who want a normal color such as black or beige. If you would like more recommendations for how Rocktape may be able to help you personally. Come on into Purvis Chiropractic for a consultation! Did you know that you are meant to have a curve in your neck? Your curve in your neck is a secondary curve that develops in your spine as you grow. This natural curve develops as the baby starts to learn to hold their head up. The neck, also know as "The Cervical Spine", and is an important part of your spine. If your cervical spine doesn't have a healthy curve it can actually be quite problematic! Before we go into some issues and how chiropractic can help restore a healthy spine, lets talk about the types of curves your cervical spine can have. 1. Lordotic Curve: is the natural and HEALTHY curve you want your neck to have. This is a C-shaped curve where your the curvature goes towards your chin. 2. Hyperlordotic/Hypolordotic: This means there is either an increase (hyper) or a decrease (hypo) in the degree of the curve in your Cervical spine. A hypolordoctic or no curve is also known as a flat neck. 3. Reverse Curve/Kyphotic: This means your spine is actually starting to curve in the opposite direction that it is suppose to curve. 4. S-Curve: This is when you have both a lordotic and a reverse/kyphotic curve. Your spine was meant to have curvatures in your spine. Without these proper curvatures in your spine you actually lack the shock absorption these curves are designed to help you with. Improper curvatures increase the risk of premature degeneration in the spine as well as many other health issues. People can lose their cervical curve many ways. The most common way is from a traumatic event. These traumatic events may include car accident/collisions with a result of whiplash, a blow to the head, or even a slip and fall. When a traumatic event occurs, your ligaments are stretched out causing there to be a laxity in your spine, which allows the neck to curve in a direction other than the healthy Lordotic curve. People can also lose their lordotic curve from a prolonged poor posture or even a result from poor head control as a baby from birth. A lot of patients who have an unhealthy curve tend to have frequent Headaches or Migraines. Unhealthy curves cause tension in the muscles in the neck and cause a dysfunction of the biomechanics of how your neck works. This can also cause referral or radiating pain down into the shoulder, arm, or even up into the scalp. Patients tend to deal with these symptoms and don't realize that the root of their problem is actually coming from their cervical curve and they don't have a problem in the shoulder or arm. Chiropractic adjustments paired with neuromuscluar exercises and therapies can help bring back an ideal curve which is lordotic curve back into the cervical spine. With these specific treatments to restore the cervical curve can help reduce the symptoms that the patient may be experiencing. In some cases these treatments have helped patients headaches and migraines to dissipate or even disappear completely. Chiropractic can provide great relief for patients! If you would like more recommendations for how to restore a healthy cervical curve or just ways to improve your daily life, come on in to Purvis Chiropractic for a consultation!